Boaters enjoy the feel of sun and spray. 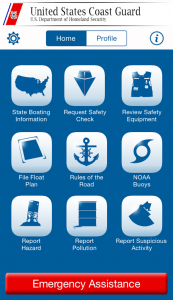 So it's tempting to boat without wearing a life jacket especially on nice days. But modern life jackets are available in a wide variety of shapes, colors, and sizes. Many are thin and flexible. Some are built right into fishing vests or hunter coats. Others are inflatable as compact as a scarf or fanny pack until they hit water, when they automatically fill with air. There's no excuse not to wear a life jacket on the water! Adult-sized life jackets will not work for children. Special life jackets are available. To work correctly, a life jacket must be worn, fit snugly, and not allow the child's chin or ears to slip through.